The University of Georgia ranking is 61st in the USA and joint 150th in the world on the University Review College Ranking List. It is ranked as the 62nd best college by the USnews. 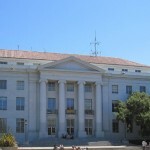 It is ranked as the 94th top college in USA by Forbes. The University of Georgia tuition fees are $10,836 for in-state and $29,046 for out of state students. It is a selective college taking in 55% of applicants. Financial aid offered totals $160 million per year, an average of $11,170 per student. SAT scores for admission requirements (25th-75th percentile) are Math 560 – 670, Reading 560 – 660, and writing 560 – 660. The composite SAT scores range from 1140 to 1330. The requirements for ACT (25th-75th percentile) are Composite 26 – 30, English 25 – 31, Math 24 – 29, and Writing 7 – 9. University of Georgia (UGA) is situated in Athens in the United states of America. It was established towards the end of the 18th century by the Georgia General Assembly and is currently headed by it’s president Michael Adams. The University of Georgia, Athens, GA has 16 colleges and schools and offers programs in the following areas: Arts and Sciences; Business; Ecology; Education; Environmental Sciences; Environment and Design; Family and Consumer Sciences; Forestry and Natural Resources; Journalism and Mass Communication; Law; Pharmacy; Public Health; Public and International Affairs; Social Work; and Veterinary Medicine. The students of the University of Georgia are well travelled with around 17% of graduates having experience of studying abroad, to this aim the university offers over 75 programs that give the students chance to participate abroad. In total this allows for study in 24 countries. It is though that by given a student the opportunity to study abroad that it will result in a much more rounded education. University of Georgia photograph by David Torcivia. 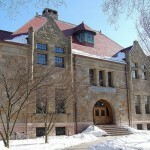 As it is one of the Public Ivies, the education offered is similar to found at places like College of William & Mary, University of Arizona, University of Connecticut, and University of Iowa. 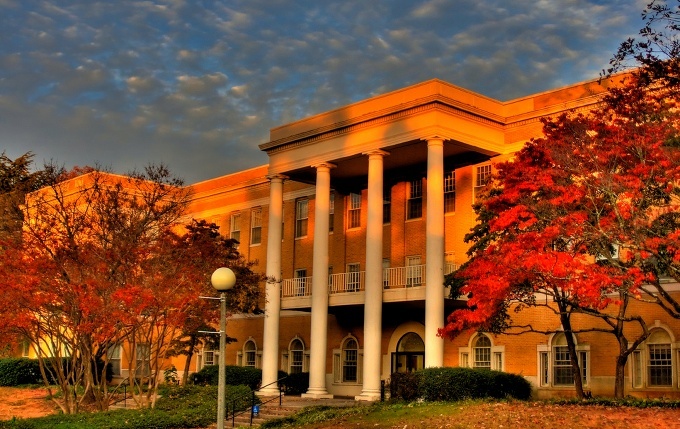 Other colleges in Georgia state include Medical College of Georgia, Georgia Institute of Technology, and Emory University. Motto: Et docere et rerum exquirere causas (English: To teach and to inquire into the nature of things).